Ispahani eye hospital in Dhaka- The best place for your eye consultant. The Ispahani islamia eye hospital is a non-profit organization which was established in 1960. with a vision of sight for all. The founder of this hospital is sir Mr. M. A. Ispahani who is also a philanthropist and an industrialist. Where is the Ispahani Islamia eye hospital? The Ispahani eye hospital is in the farm gate near the Krishi Bid institute and Khamar Bari. 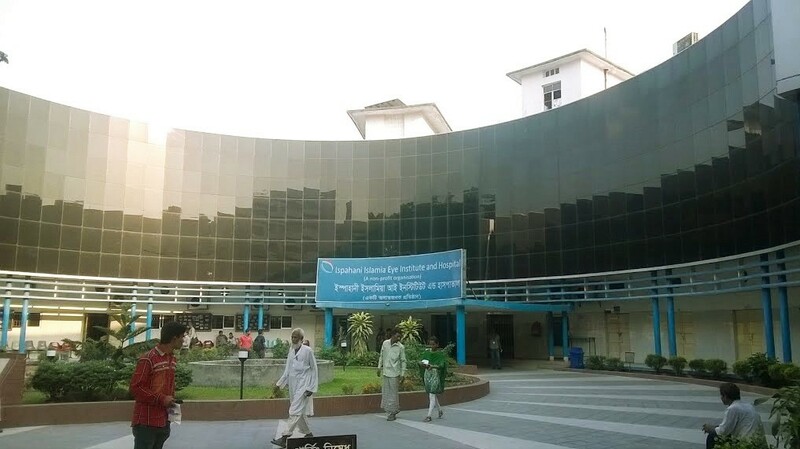 The Ispahani eye hospital is a research institute which runs upon the donation of many great heart organizations and people. The major donors of this hospital is the Sightsavers, SAARC, Orbis, Rotary Club, Standard chartered Bank, Embassy of Japan and more. Everyday a lot of people from all over the country come here to visit this hospital in order to treatment. Being a reputed hospital, the number of its visitors are also too much. People from all classes come here because of its quality service. Today I will tell my experience about this hospital, so that you can easily figure out everything, if you want to visit this hospital. This hospital provide service in two parts, open for all and Private OPD. I will tell about the open OPD, Because I didn’t visit the Private OPD. Because of its huge crowd you have to come very early to the hospital. The patient registration is open from 7.30 am to 6.30 pm. First time in Ispahani eye hospital ? Here is your Guide. If you are first time here, you have to take ticket first from the ticket counter. The ticket counter is at the ground floor closed to the main entrance. Ticket price 50 Tk. After buying ticket you have to wait for your call. The waiting room is aside of the ticket counter. An attendant will come and call your name. When your call come just follow the attendant, he or she will take you to the doctors. Here is another serial at the doctor’s room. Don’t worry, here they will maintain the previous serials. Just sit back and relax and again wait for the call. When you are in, firstly they will test your visibility. Just follow the instructors. Then he or she will send you to the doctor. When the doctor is counselling you tell him/her about your problem frankly. Most of the time they became very friendly with you. so don’t hesitate to tell anything about your problem. The doctor will prescribe you if you don’t need further examination. Don’t forget to thanked him or her showing respect to your consultant. According to me, I was referred to cornea department from my doctor. (My doctor was so expert that he told me about my accident). I was so surprised, how could he guess that? At cornea department you have to take ticket again. Ticket price 50 taka. Again serial and you have to wait for your call. Here they will take visibility test again. Then the junior doctor will sketch the condition of your eye and do needed experiment. After that you will reach to your head consultant. My head consultant was Dr. Abdus Salam. He checked all my papers and prescribed. The key point is, being reputed hospital and low service cost there is huge crowd. So you have to keep patience to get this quality medical service. If the doctor seems you need further observation, the hospital authority will issue you a card. They will provide you a patient id and a contact number with a card. Cost may changed based on additional charges. So welcome you all to the Ispahani islamia eye hospital the best eye hospital in Bangladesh. Please tell me about First Track and Whats is procedure to get treatment. Hey sayed Jakirul alam, with due respect please contact with the contact number given in the post and talk directly to the authority. They are very cordial, just tell them your problem and references they must help you. Best wish to your daughter.